Reinforced concrete has been instrumental in the construction industry since its invention in the 19th century. 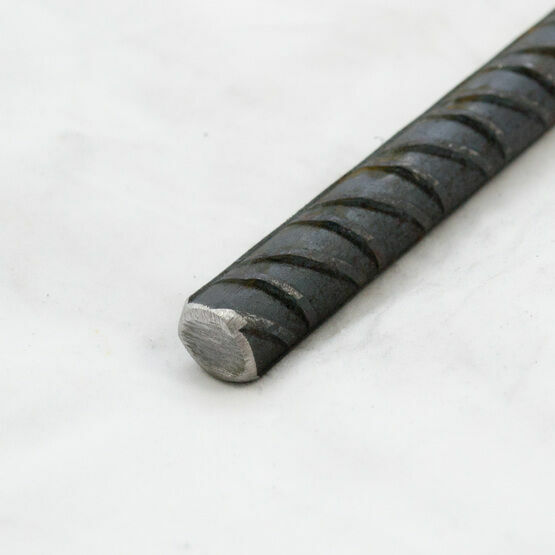 The combination of the qualities of concrete and steel rebar results in a material which has high relative strength, high tensile strength, great resistance to corrosion and thermal compatibility. Reinforced concrete can therefore be used for the most demanding and creative structural projects. Steel rebar should be set into concrete as it is set. Although it has no corrosion resistance added to the steel itself, it has a profile which is designed to bond extremely well to concrete irrespective of moisture or pH. If the outer layer of concrete is thick enough it will provide an adequate barrier against corrosion for the steel rebar. If it is too thin, however, the steel may come into contact with moisture and oxygen which will lead to oxidisation. As steel rusts the surface of the material expands and comes away, exposing more of the material to the elements which cause oxidisation. This expansion has an effect on the concrete surrounding the steel, causing it to crack and eventually crumble. However if reinforced concrete using steel rebar is properly constructed, it can be expected to last for a very long time. The Philips Pavilion (pictured), constructed for the Brussels World’s Fair in 1958 is a testament to the creative architecture which can be achieved with reinforced concrete. At Austen Knapman, we stock steel rebar cut to size to suit any construction project. We have a number of thicknesses of reinforcing bar available, simply choose the size and input the lengths you require into our website to receive a free on-screen quote for your order! Those of you who are regular visitors to our website will have noticed that we have added our first sheet metals this week, including aluminium chequer plate.